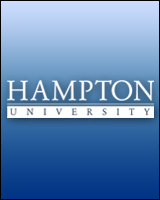 Warren A. Jones, M.D., is the Chief Health Officer at Hampton University in Hampton, VA. He was previously the NIH Endowed Chair in Health Disparities Research at Dillard University in New Orleans, LA. He is a family physician and retired Captain in the U.S. Navy and has served as the Director of Healthcare Quality and Disparities at Provider Resources, Inc. He was the founding Executive Director of the Mississippi Institute for Improvement of Geographic Minority Health at the University of Mississippi Medical Center (UMMC). He is a previous UMMC Associate Vice Chancellor at the University of Mississippi and past Director of the Mississippi Area Health Education Centers (AHEC). He is a Professor Emeritus of Family Medicine and has also been a Distinguished Professor of Health Policy, Professor of Family Medicine and a Professor of Anesthesiology. He also served as the Executive Director of the Mississippi Medicaid Program under the Office of Governor Haley Barbour. Medicaid is the state’s health program for over 768,000 indigent Mississippians. He currently serves on the congressionally mandated Advisory Committee on Disability Compensation for the Secretary of the Veterans Administration. He has served on the similarly congressionally mandated Council of Councils at the National Institutes of Health (NIH) and has also served as Chair of the National Advisory Council to the NIH’s National Institute on Minority Health and Health Disparities (NIMHD) at the NIH. He recently served on the MACRA-MIPS/APM Technical Expert Panel. He has also served on the Emergency Medical Treatment and Labor Act (EMTALA) Technical Advisory Group (TAG) to the Secretary of Health and Human Services and on the National Commission for Prevention Priorities. He has also served on the Advisory Panel on Outreach and Education for the Centers for Medicare and Medicaid Services. He currently serves on the Board of Trustees for St. Andrews Episcopal School in Ridgeland, MS and the American Academy of Family Physicians Foundation. He has served on the Board of Trustees for his Alma Mater, Dillard University in New Orleans, LA, and has served as Chair of the Board of the American Health Information Management Association Foundation. Dr. Jones has served as the first and only African American President of the American Academy of Family Physicians (AAFP), a 129,000-member primary care specialty society. He has also served Chair of the AAFP’s Board of Directors and President-elect of the Academy. He has served on the National Medical Association’s (NMA) Maternal-Child Health Council, Chair of the Aerospace & Military Medicine Section and is currently Chair Emeritus of the Family Medicine Section. He also served on the Minority Affairs Governing Council for the American Medical Association (AMA). He was recently a Co-Lead for the Behavioral Health Subgroup of the NIH’s Eunice Kennedy Shriver-National Institute of Child Health and Human Development Visioning Project. Jones retired from the United States Navy and his position as the Senior Medical Director of the over 10 million member world-wide TRICARE Military Health Program, the military's health insurance program, in 2001. He previously served as Director of Medical and Clinical services for the Pacific region of TRICARE coordinating care for U.S. service members and their families from Alaska to Madagascar. Jones has served on the President’s Select Panel on Surviving and Living after Cancer, the Chiropractic Implementation Committee for the U.S. Secretary of Veterans Affairs and on the Secretary’s Chiropractic Advisory Committee. In addition, Jones was a member of the Expert Panel for the Medicaid Disease Management Initiative for the Center for Health Care Strategies, the Robert Wood Johnson Foundation and the Kaiser Permanente Foundation. He was a member of the Key Stakeholders Advisory Board to the Evidence Based Research Center for the Agency for Healthcare Research and Quality (AHRQ). He is currently a member of the Board of Directors of the Mississippi Diabetes Foundation and has previously served on the Board of the National Health Council and the National Advisory Council to Rewarding Results, an advisory panel to the Robert Wood Johnson Foundation and the California Health Foundation which led to the development of the Pay for Performance initiative in health care. Jones received his undergraduate degree in chemistry from Dillard University in New Orleans and his medical degree from Louisiana State University School of Medicine in New Orleans in 1978. He completed a family medicine residency at the Naval Hospital in Pensacola, Fla. Jones also earned a fellowship in Adolescent Medicine at the Naval Hospital in San Diego. Jones is also a Fellow of the AAFP. Jones received the Century Award in Science and Medicine from the Omega Psi Phi Fraternity, Inc. at its 100th Year Celebration in 2014. Jones has extensive military, research and medical education experience, which includes serving as special assistant to the U.S. Navy Surgeon General and was chair of the Department of Family Medicine at the Naval Hospital in Charleston, S.C. Jones has received numerous military honors including the Defense Superior Service Medal and the Navy Commendation Medal for superior performance. He received the Meritorious Service Medal three times. He was honored as the Outstanding Black Educator in Mississippi by the Board of the Institutions of Higher Learning. He received an Honorary Doctor of Humane Letters Degree from Tougaloo College.